The Charity’s 4th year has seen significant development in the integration of communities along with a host of successful achievements that have been instrumental in driving the overall message forward. In September 2012, the charity was awarded the 2nd year of three years funding (£95,000), delivered in three separate grants. The End-Of-2nd-Year Report has recently been submitted to Children-In-Need for review. The project has continued to see ‘engagement’ workshops taking place now across four main Gypsy & Traveller sites. The aim has been to engage children and young people through arts-based cultural activities. The project has been very well attended by young people and has been successful in meeting the three main objectives set out for it. The project will extend in 2013-2014 to include two additional sites so that more children can be reached. This will equal a total of six sites in total over 2013-2014. The previous years anti-bullying project, focussing on “Identity” has continued this year. The success of the workshops within 4 local primary schools has continued to prompt great interest from schools in Llanelli, Newport, Merthyr, Torfaen, Blaenau Gwent, Pembrokeshire and Swansea who wish also which to participate in the work. These regions also have a heritage of GRT involvement and are keen to explore more awareness projects to assist in the understanding and education of the culture of the GRT Community. Following on from last years successful workshops with Gwent Education Multi-ethnic Service (GEMS). This activity involved the integrated input of children from GRT and Non-GRT communities to train and work together to produce a theatre performance involving movement, drama and music which was performed at the 2013 Gypsy Roma and Traveller History Month. Supporting this event were tutors from the College of Music and Drama along with Isaac Blake, Director of the Romani Arts. Once again this was held at the Riverfront Theatre and Arts Centre. This year also saw the involvement of parents from both communities during the rehearsal stages held at the local YMCA. Once again, we have seen a positive impact from previous activities that are now growing due to increased awareness and greater participation throughout communities and families. This financial year we have yet again planned delivered/coordinated and extended the already successful Traveller Month of 2012 and accompanying T-Shirt Competition to further areas of North Wales. This year the t-shirt judging took place in Flintshire to further support GRT History Month ventures in this region. The six month preparation for the summer gala day (Cardiff) results in a month of activities based both on-site and through various theatre and art centres throughout South and North Wales. “Shine”An installation of new works by Daniel Baker. This was an extremely successful exhibition and married very well with all the other History Month 2013 projects on the theme of ‘Home’. The success of this exhibition and its influence on the wider public has been noted by the Welsh Assembly, with the exhibition being housed at the Welsh Assembly buildings from September to December 2013. National Symposium focused in particular on the Romani communities within Europe and beyond. This well-attended event, explored GRT themes within a forum of academics and frontline workers. Policy was discussed in depth and Welsh Government Ministers attended and supported. The National Symposium further extended our links with The Open Society Institute. “Design a T-shirt Competition” – open to Primary School children throughout the local region (and 2013 extended into North Wales), the children were encouraged to create an artwork that would depict ‘The Travelling Home’. The charity produced comprehensive lesson plans and resources to encourage teachers to fully prepare children for the contest with discussions around wider ‘inclusion’ themes. The winner was announced at the 2013 History Month Gala. One of the judges was Keith Towler. The beautiful designs are available for viewing on the charity website. “Tales from the trailer”. A Heritage Lottery funded project. This exhibition was successfully launched on 12th July 2013 at Cardiff Story and will travel around South West Wales. It is the result of 18 months research and hard work to capture 20 oral histories from the site residents of Shirenewton and Roverway. Following on from last years successful gala day (2012) held in Wrexham attracted over 100 visitors to the event in Belle Vue Park. Displays of dancing, arts & crafts and cooking demonstrations. Officially opened by the Mayor and Mayoress of Wrexham. The charity supported North Wales ventures more this year by taking the main elements and judging of the T-shirt competition 2013 to Flintshire. “Tales from the trailer”. A Heritage Lottery funded project. This exhibition was successfully launched on 12th July 2013 at Cardiff Story and will travel around South West Wales. It is the result of 18 months research and hard work to capture 20 oral histories from the site residents of Shirenewton and Roverway. 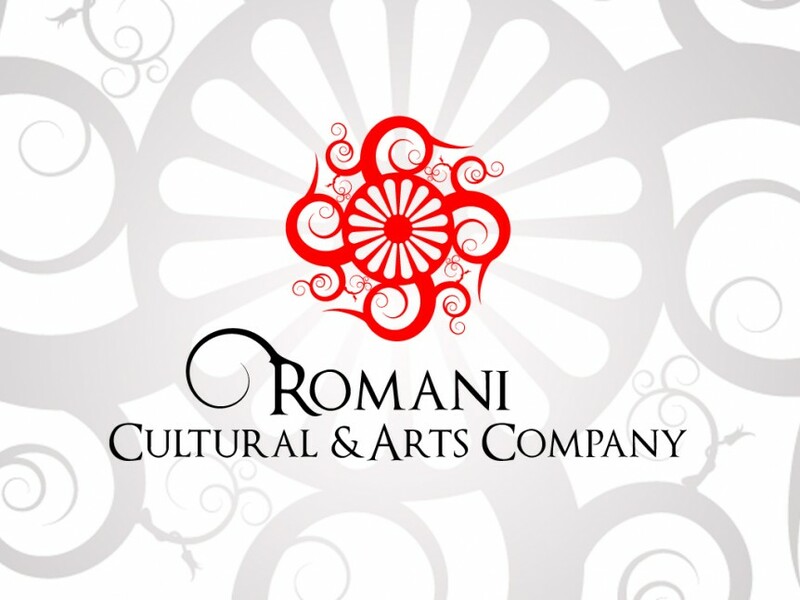 The Romani Cultural and Arts Company is delighted to have submitted their final report for the grant of £48,400 to the Heritage Lottery Fund. This exciting and innovative project uses new media techniques to record and document the cultures of 2 very different Gypsy and Traveller (GT) communities across their sites in Cardiff, and provide a unique new digital platform for the creation of a touring multi-media exhibition to preserve and promote this culture both to the Gypsy and Traveller communities throughout Wales and also to the “settled” community nationally. This project from start to finish will be steered and led by the GT community to ensure a true representation of the Cardiff GT community; it’s values, beliefs and realities. In 2013, a renowned, respected local lawyer researched and reported on the skills and trade base of the GT communities of South Wales. This report is now a good springboard from which the charity has the option of exploring future education and training initiatives for community members. The project was supported by The Big Lottery, ‘ Awards For All’ programme. What has become apparent over the last two years of operation is that the charity is unique in Wales. It is a Gypsy-run charity, by Gypsies and Travellers, for Gypsies and Travellers, about Gypsies and Travellers. Unlike other organisations that seek to impose their culturally-biased systems and protocol on vulnerable communities, RCAC needs to market itself so that it is fully recognised for its far-reaching influence and ability to deeply empathise and understand the GRT community. The charity is naturally enabling positive change to occur for the GRT communities of Cardiff (and beyond) by encouraging developments to begin ‘inside the community’ not ‘external’ to the community. The community members are offering their services to the charity and they are leading the development of projects.